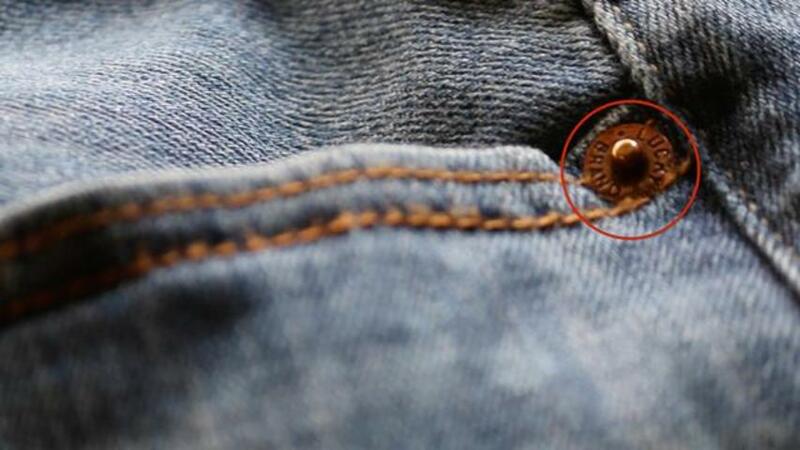 Jeans are common around the world, but why some pairs have little metal pieces on the pockets remains a complete mystery to many. The circular bits aren't buttons nor are they simply decorative. As the Independent notes in a recent report, they are actually called "rivets" and are used to make the parts of the jeans that move the most more durable. A tailor named Jacob Davis came up with the solution after receiving complaints about how quickly the pants would wear out on laborers. He discovered that the rivets would help to stabilize the material so he placed them around the pockets and fly. Eventually, he partnered with his fabric supplier Levi Strauss, and they were awarded a patent for the idea in 1873. Even though denim had been used to make pants before, Levi Strauss says that year marked the true "birth of the blue jean."